Do you have acidic soil, full sun and live in zones 4-6? Think you can't grow anything in such an area except rhododendrons and azaleas? Well, why not try heaths, heathers and some of their close relatives? 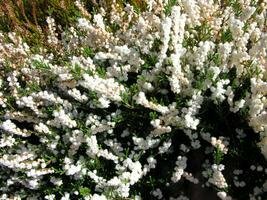 By planting a variety of these plants, they can provide attractive foliage colour and form in the garden year-round as well as blooms from March through to November. Few flowering plants offer the gardener such an extended display. 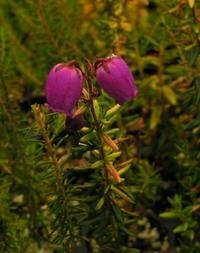 Anyone who has visited the moorlands and highlands of Europe, especially, the British Isles, will be quite familiar with heaths and heathers, since they are a major constituent of these habitats. 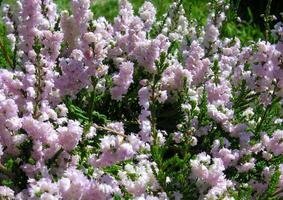 Heath (Erica) and heather (Calluna) are members of the Ericaceous family of plants which include such garden favourites as Rhododendron, Azalea, Mountain Laurel and Japanese Pieris. There is often confusion between heath and heather. 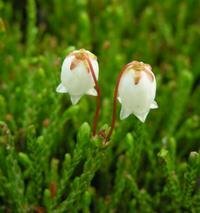 The heaths are generally spring-blooming, flowering from March to late May. They have needle-like evergreen leaves and form mat-like growths which may reach to 30 cm. 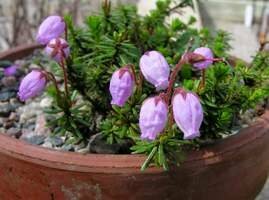 Heather, on the other hand, are summer-fall bloomers, with flowers from late July till frost. Their evergreen leaves are scale-like and the more upright bushes may reach up to 60 cm. The flower colour is the same for both; white, pink, red or purple. The foliage is mostly deep green, but colour-foliaged cultivars exist on both sides. In my garden, they seem to thrive on a spartan diet provided by a combination of peat, sand and leaf-mould. They are confirmed acid-lovers, so you should never add lime to their growing area. Heaths and heathers are not heavy feeders; a yearly topdressing of leaf-mold usually provides their nutrient needs. Another key to success is to maintain a well-drained soil (hence the sand). Nothing kills them faster than wet, soggy soil. Due to their special soil requirements, they are best grown in a bed to themselves. That does not mean that you cannot grow them in association with other plants. 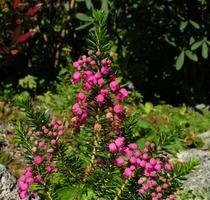 Many dwarf ericaceous plants, such as dwarf Rhododendron, Pieris, Gaultheria, Andromeda and Kalmia make wonderful companion plants. Other good additions would be many ferns, several gentians and primroses. 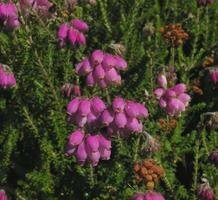 Heaths and heathers prefer a sunny site, but one protected from cold winds. Being evergreens, they are prone to winter desiccation when exposed to cold, dry west and northwest winds. The best protection is a steady snow cover. If this is not a guarantee, then evergreen boughs placed in and around plants, will help. Their hardiness rating is zone 5-6 however, with a sheltered site, they can survive in a zone 4 area. 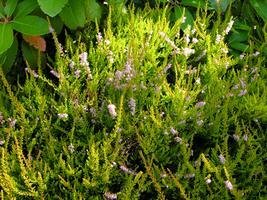 Not surprisingly, heaths and heathers are far more popular in Europe than in North America, and while there are relatively few cultivars available on this side of the Atlantic, in Europe, many hundreds of cultivars exist. 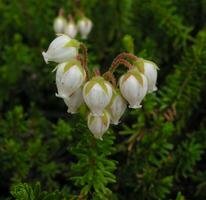 The heaths begin flowering in February-March in southern areas and along the Pacific coast. In my area of northeast North America, late March to early April is the norm. 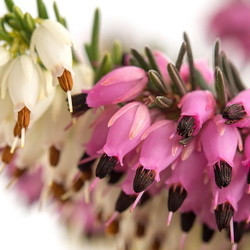 There are several species of heath, but the hardiest and most popular are cultivars of Erica carnea (zone 5). Among the best cultivars are ‘December Red’ (deep rose-pink), ‘Vivelli’ (deep purple-pink), ‘King George’ (magenta-pink), ‘March Seedling’ (rose-purple), ‘Pirbright Rose' (bright pink), ‘Springwood Pink’ (medium pink) and ‘Springwood White’. A few colour-foliaged cultivars exist, but perhaps the best is the bright yellow ‘Anne Sparkes’ (rose-pink). 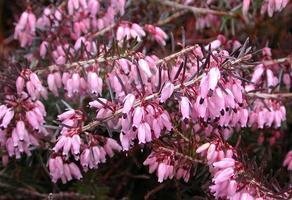 The other popular spring heath is Erica X darleyensis (zone 6). Good cultivars include ‘Darley Dale’ (pale mauve), ‘George Rendall’ (deep pink) and the golden-foliaged ‘Jack H. Brummage’ (mauve). 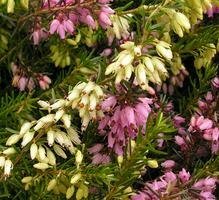 Also hardy in zone 6 is the Cornish heath, Erica vagans and the Dorset heath, E. ciliaris. Both of these species can bloom mostly from July until September. 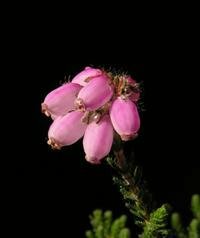 Another heath which can fill the gap between the spring heath and summer heathers is the cross-leaved heath, Erica tetralix. 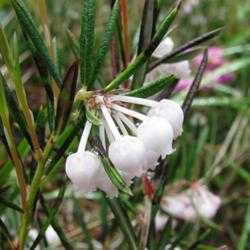 This heath has grey-green foliage and either white (the cultivar ‘Alba Mollis’) , pink (‘Pink Charm’) or reddish flowers (‘Con Underwood’). They are hardier than E. carnea (zone 4), although not as tidy, and bloom from June until September. 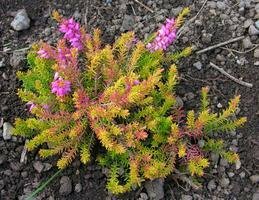 Heathers (often called Scottish heather) all belong to the species Calluna vulgaris. The earliest-flowering cultivars begin flowering in late July, while late cultivars may not bloom until October-November. Some of the best cultivars are ‘Alba Plena’ (double, white), ‘Alportii’ (purple-red), ‘Corbett’s Red’ (pink-red), ‘County Wicklow' (double, shell-pink), ‘H.E. Beale’ (double, pale pink), ‘Mullion’ (mauve-pink), ‘Spring Cream’ (white) and ‘Tib’ (early, double, deep pink). For a dramatic colour contrast try ‘Arran Gold’ (golden-yellow; pink flowers), ‘Cuprea’ (orange-red; mauve-pink flowers), ‘Gold Haze’ (bright yellow; white flowers), ‘Multicolor’ (yellow, orange and red; mauve-pink flowers), ‘Robert Chapman’ (yellow summer, orange-red winter; mauve-pink flowers) and ‘Silver Knight’ (grey-frosted; mauve-pink flowers). 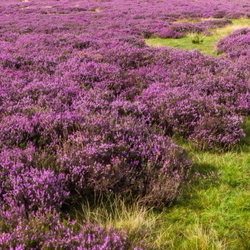 Some cultivars of heather produce prostrate mats. Among the best are ‘Dainty Bess’ (double, pink) and ‘White Lawn’. All the cultivars mentioned are growing in St. John’s, Newfoundland, Canada. Here, snow-cover is not a guarantee, our freeze-thaw cycle continues from November until early May and wind is constant; not favoured conditions for heath and heathers. However, on the plus side is our mild winters and naturally acidic soils. 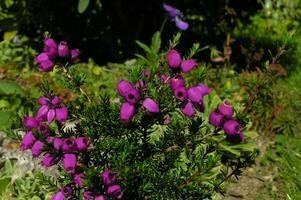 Do not grow heaths and heathers if you are looking for a big-bang effect. Their charm is much more subtle. Nonetheless, they are deserving of garden space in those areas fortunate enough to have a favoured climate for these moorland beauties. I reside in St. John's, Newfoundland, Canada. I work as a research horticulturist at the Memorial University of Newfoundland Botanical Garden. I am one of the founding members of the Newfoundland Wildflower Society and the current chair of the Newfoundland Rock Garden Society. My garden is quite small but I pack it tight! Outdoors I grow mostly alpines, bulbs and ericaceous shrubs. Indoors, my passion is orchids. When not in the garden, I'm out bird watching, a hobby that has gotten me to some lovely parts of the world.